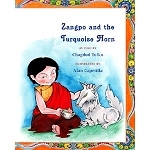 The Jakata tales nurture in readers young and old an appreciation for values shared by all the world's great traditions. 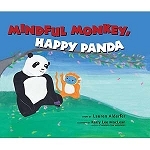 These stories were transmitted orally, memorized and passed from generation to generation. 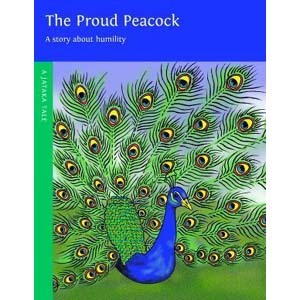 The Proud Peacock is a story about humility. From among all the birds, the mallard princess chooses an elegant peacock. But in spreading his feathers and dancing to show off his beauty, the peacock reveals his prideful nature. When the mallard princess rejects him and chooses a more suitable mate, the peacock's once lovely voice becomes the hoarse cry of dismay uttered by all peacocks to this day. Paperback, 2009 edition, 28 pages.